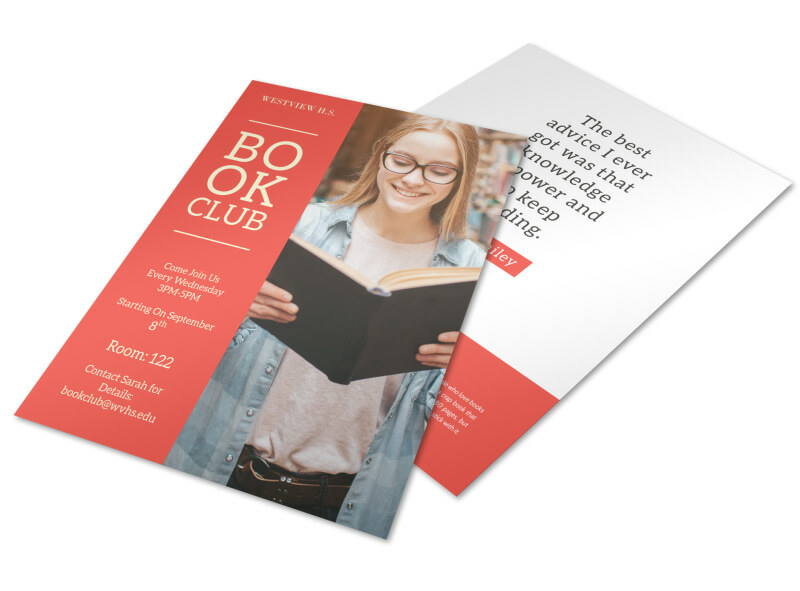 Customize our School Book Club Flyer Template and more! Call out to bookworms with new about your book club or upcoming events with this lovely customizable flyer you create yourself. 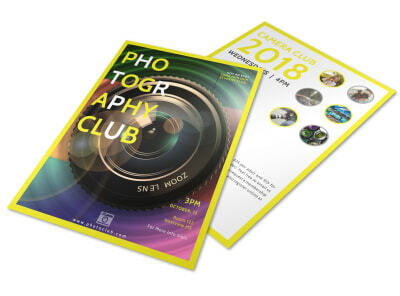 Personalize your flyer by choosing from various fonts, colors, images and graphics. 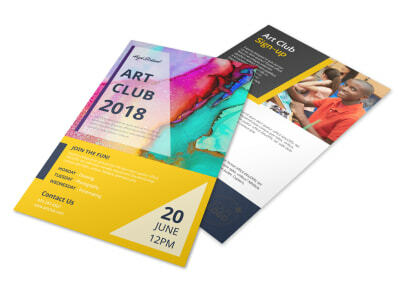 Get your flyers in the hands of many by printing from where you are for faster access or let us print for you for an added professional touch.